Fifty miles south of San Francisco, you can relax in a hot tub with panoramic views of the Pacific, and then fall asleep gazing up at one of the tallest lighthouses in America. 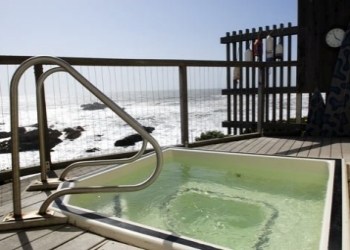 This one-of-a-kind getaway is available only at the Pigeon Point Lighthouse Hostel. Perched on a cliff on the central California coast, the 115-foot Pigeon Point Lighthouse has guided mariners since 1872. The hostel provides comfortable, affordable accommodations in the restored lighthouse keeper's quarters. Guests can opt for shared or private rooms, and also enjoy cozy lounges, fully equipped kitchens, and amenities including satellite Internet, free WiFi, and free parking. 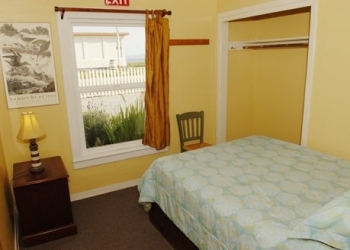 In addition, the Pigeon Point Lighthouse Hostel is a certified green business. On weekends, free history walks guided by State Parks docents are available on the hostel grounds. 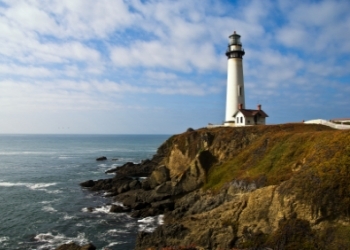 The Pigeon Point Lighthouse Hostel is also a popular spot for whale watching, and a convenient base for exploring nearby coastside communities as well as the ancient redwood forests at Butano State Park, the bird sanctuary of Pescadero Marsh, and A�o Nuevo State Reserve. The Pigeon Point Lighthouse has stood proud and (115 feet) tall since 1872, the year it began to guide mariners from its perch on a 35-foot cliff in Pescadero. The latter half of the 19th century was an historic period in California: Gold was discovered in 1848 and the state was admitted to the Republic in 1850. New settlers arrived, and ship traffic increased greatly since transporting cargo from the East Coast was a lucrative business. On January 28, 1853, the clipper ship Carrier Pigeon set sail from Boston for San Francisco, carrying 1,300 tons of cargo. On June 6, 1853, she ran aground near what was then called La Punta de la Ballena (Whale Point). Although the ship was wrecked, the crew was saved. Before long, the point of land was renamed Pigeon Point in memory of the Carrier Pigeon. Constructed of unreinforced brick, the lighthouse is the second tallest on the West Coast. The original first-order Fresnel lens is still in place in the tower. Invented by the Frenchman Augustine Fresnel, the lens consists of 1,008 glass prisms enclosing a light source. The prisms concentrate the light, allowing a low-intensity light source to project a strong beam over a great distance. Initially, the lamp inside the lens was a series of concentric wicks fueled by lard oil, giving off a light measured between 60,000 and 80,000 candlepower. Later a kerosene lamp was substituted, and then a lamp which used vaporized oil, providing yet a stronger beam. Finally, in the late 1920s, Pigeon Point switched to a 1,000-watt electric light bulb, increasing the light to 680,000 candlepower. Each lighthouse has its own distinctive light pattern which makes it identifiable to passing ships. Ship captains carry a "light list" of the various patterns, and thus can use the signal to help determine their location. As the Pigeon Point lighthouse's Fresnel lens rotated around the light source, it produced a flash pattern of light every 10 seconds. An automated Aero beacon was installed in 1972, but the 10-second light pattern is still maintained today. The present Fog Signal Building, built in 1899, originally housed a steam-generated foghorn which was fired up when the fog rolled in. The foghorn was disconnected in 1976. Please call during office hours, 7:30 a.m. - 10:30 p.m. daily.